“The only alternatives to recovery are jails, institutions, dereliction, and death. Unfortunately, our disease makes us deny our addiction. If you are an addict, you can find a new way of life through the NA Program. Through abstinence and through working the Twelve Steps of Narcotics Anonymous, our lives have become useful.” (Basic Text 6th edition pg. 8). It is with this purpose that the Sierra Sage Region of Narcotics Anonymous began our “Behind The Walls Sponsorship” program. 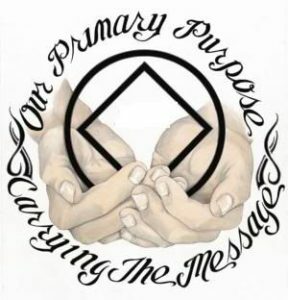 The program is designed to protect the anonymity of our members while providing temporary sponsorship to those who are currently incarcerated as a result of their disease of addiction and who desire to begin working the 12 Steps of Narcotics Anonymous. Please click on any of the links located below for more information on how this program works. If you would like more information, or if you are interested in becoming a temporary sponsor for an addict who is currently in need and incarcerated, please fill out our request form at the bottom of this page. Interested in joining our Sub-Committee? Questions? Comments? See something you think needs fixing? Fill out this form and we will be happy to contact you as soon as we can.